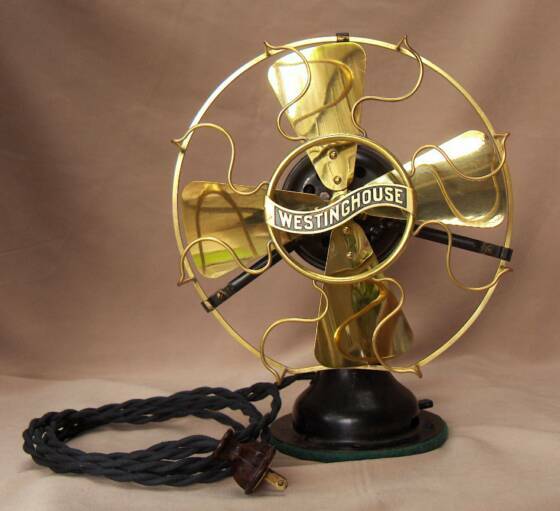 The Vintage Lighting & Fan Shoppe is proud to offer this 1912 Westinghouse Table Fan for your consideration. 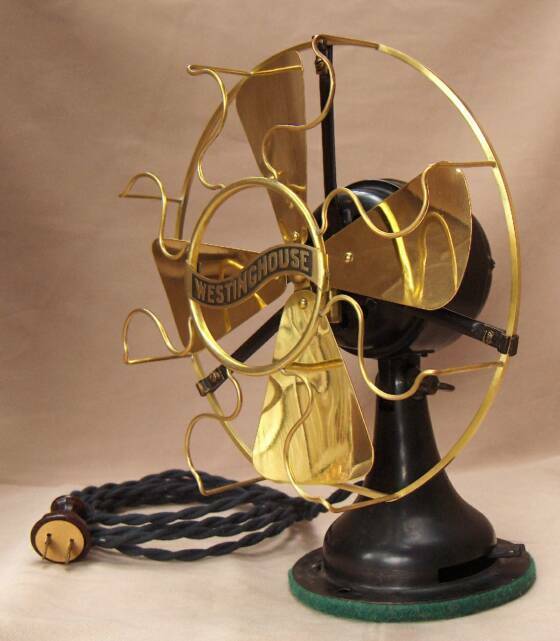 This fan features Brass Blades that have been highly polished, and a Brass cage with an open style Westinghouse badge in the center. It has been fully refurbished, it was disassembled and cleaned. The original finish has been polished, and has received new reproduction cloth covered wire, new rubber wiring grommet and original Bakelite plug with NOS fiber board insulator. The base has been re-covered with wool felt in the original color. The brass oil cups for the front and rear bearings have been polished and serviced and they also received new felt wicking. 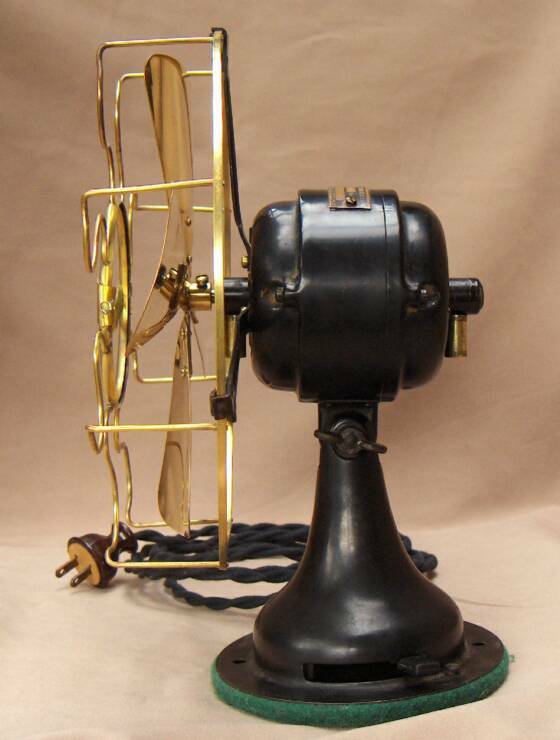 This is a three speed fan with the selector switch on the base. It has a 120 volt AC motor. It measures 11 inches tall, the blades are 8" inches across and the base is 5 inches across. It runs strong and puts out a good breeze for such a small fan. Perfect for your desk, night stand, vanity, kitchen or just use it for display. 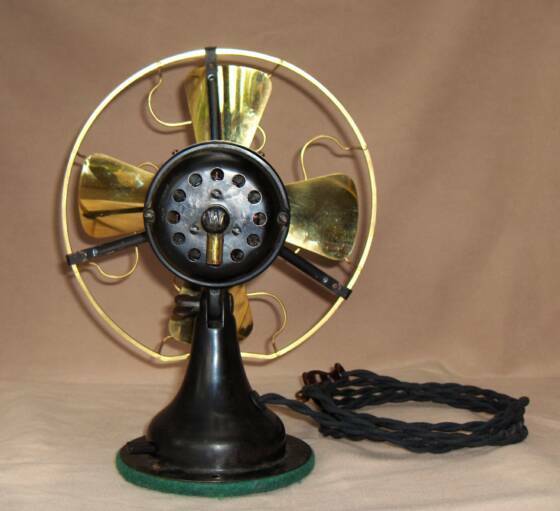 This is a vintage fan and there is no implied warranty. Call or Email us to reserve the next available restoration.